If you haven’t eaten at Falafel’s Drive-In, go now. And then grab your falafel sandwich and some spicy sauce, sit down and admire their really fun sign with the flashing arrow. 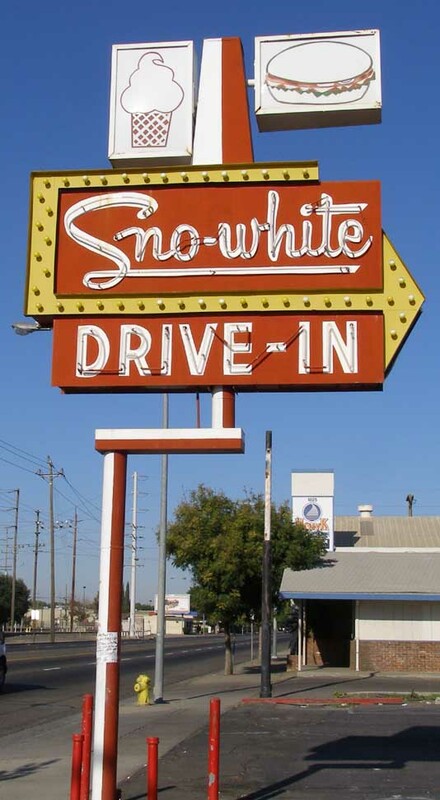 This location was once a Sno-White Drive-In and you can see the arrow from that sign live on in the sign that stands now. In 1966, Anton and Zahie Nijmeh bought out the business. Besides selling hamburgers, they introduced Middle Eastern food to the menu, convinced that if people tried it, they’d love it. And it worked! I sketched this sign on a rainy day, while eating a falafel sandwich. You can see that the rain splatter added wonderful texture to my piece.